In an attempt to kickstart a shale gas revolution in the United Kingdom, Chancellor George Osborne has revealed generous tax breaks that in fact are the most generous in the world for the controversial fracking technique. The current tax rate for oil and gas extraction are 62% but George Osborne is cutting that by 50%, announcing new tax rates for shale gas extraction on 32% to spur growth in the untapped energy resource. Shale gas has revolutionised the energy system in the US due to fracking, making gas an abundant cheap energy resource. This has made them a net energy exporter rather than an importer, and from 2015 they will be exporting their vast amounts of shale gas to the UK. But it has not come without controversies. 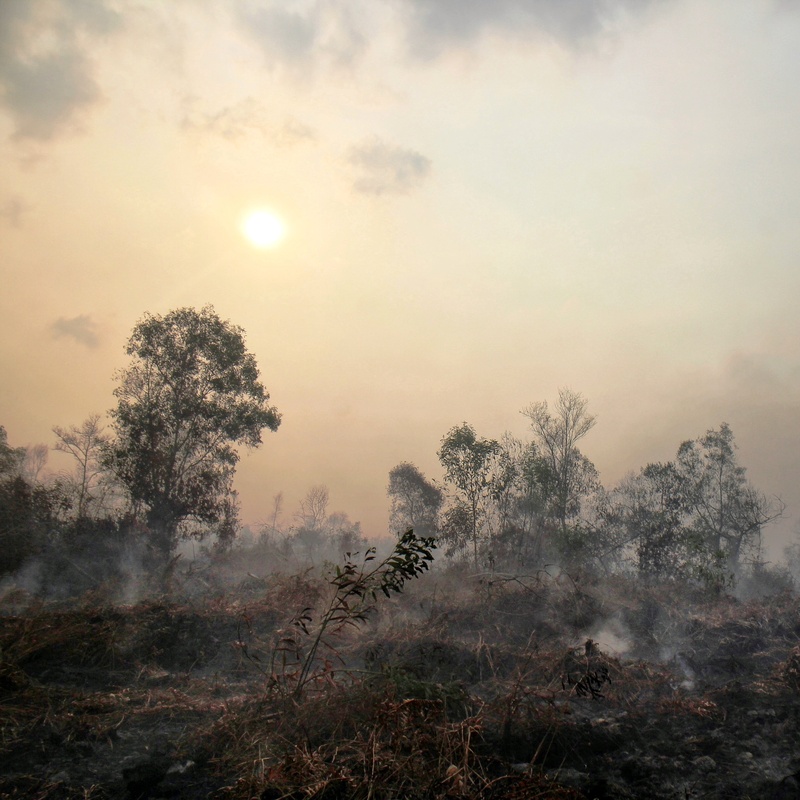 Reports have suggested that water sources have been contaminated due to fracking and localised pollution, as documented in filmmaker Josh Fox’s film Gasland, showing gas flares erupting from water taps. Shale gas deposits are trapped in shale rocks beneath the earth’s surface and to extract them is where the method of fracking comes in. Exploration wells are drilled and large quantities of water, sand and chemicals are injected, which results in shale gas flowing up the well. 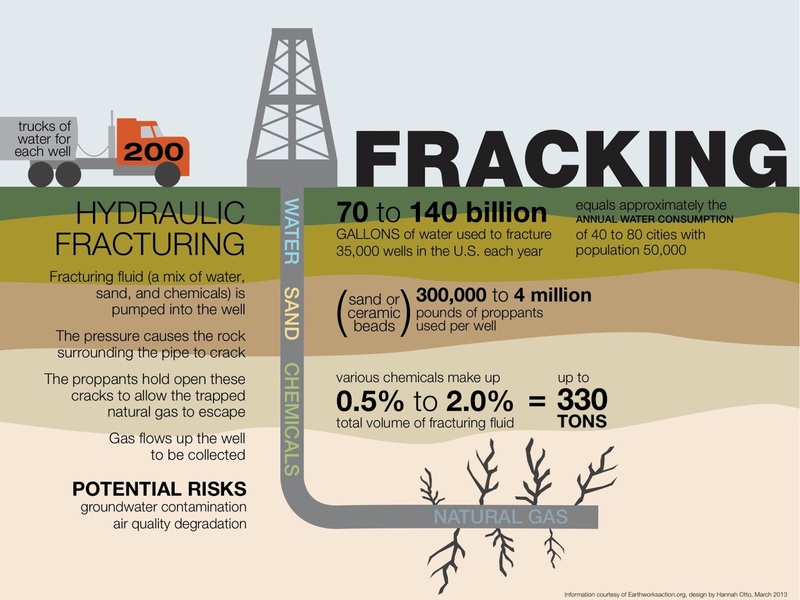 US infographic showing the process of fracking. No fracking has of yet been conducted in the UK but exploration wells have been drilled in Lancashire where the biggest shale gas deposits are estimated to be. 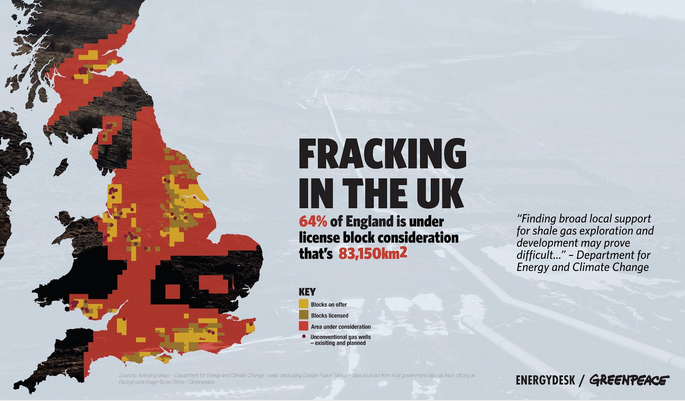 But it’s not just in Lancashire, the Greenpeace infographic above shows shale gas deposits in the UK and even several sites in Croydon, South London are being looked at. The most of Europe have, so far, said no to fracking, with Poland being the exception. Big industrial countries like Germany and France have more or less ruled out fracking, with the French President Francois Hollande recently repeating his opposition to fracking, saying that it would not happen during his term. The people of Bulgaria gathered in mass to protest against fracking which prompted the government to cancel exploration contract with ExonMobil. Iin Ireland five counties have passed motions for a ban on fracking. Map of fracking activity in Europe. Back in the US, fracking has prompted the largest environmental movement in decades and several states have banned, or are considering banning it. A huge list of celebrities are on board such as actors Matt Damon, who starred in fracking film ‘Promised Land’, Alec Baldwin and Mark Ruffalo, with the latter also being board member of the organisation: Americans Against Fracking. The main difference between the US and Europe is land volumes and land ownerships. The UK is much more densely populated than the US, which means that the US can have miles filled with fracking wells with no humans around. In the UK that would not be possible, with wells more or less placed in peoples’ backyards. In the US when you own a land, you at the same time also own everything underneath the land, resulting in several landowners becoming rich from fracking. Again that is not the case in the UK – right now several local campaigns are brewing in the background ready to enter the frame once fracking operations start. Campaigners are ready to make Osborne pay for his generosity towards shale gas companies.